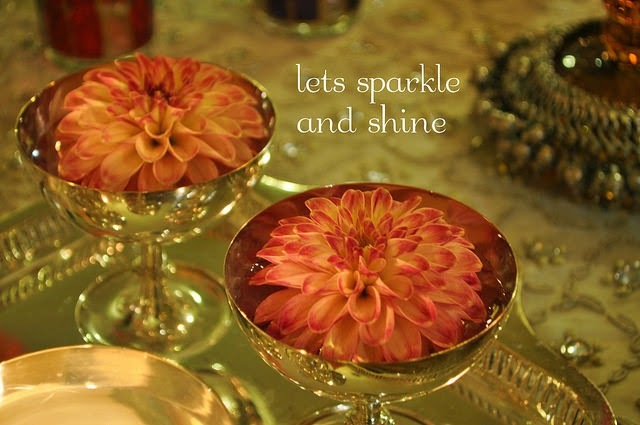 The dahlias are floating in silver plated ice cream cups that belonged to my Grandmother. My mother gifted these to me a few years ago! 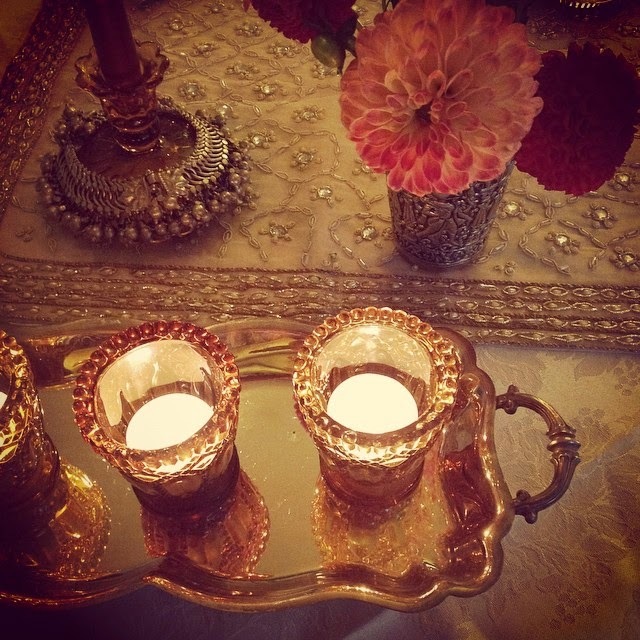 I have used my Grandmother's silver anklets to add a touch of bling to my tablescape! 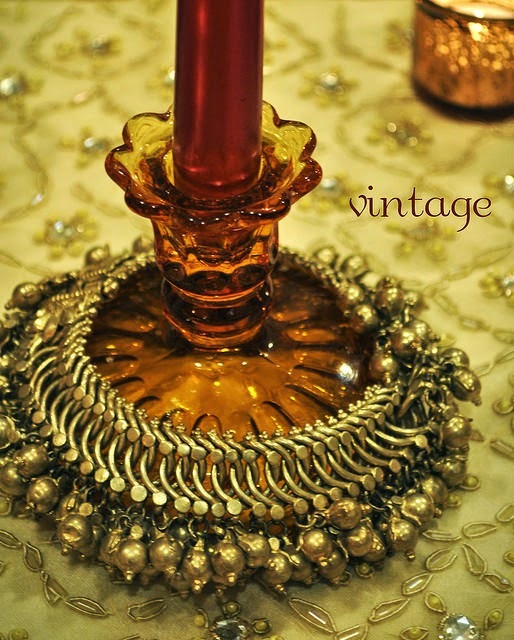 The candle stands are an antique store find! This is the first painting that I hung on my wall as a new bride in my first home. 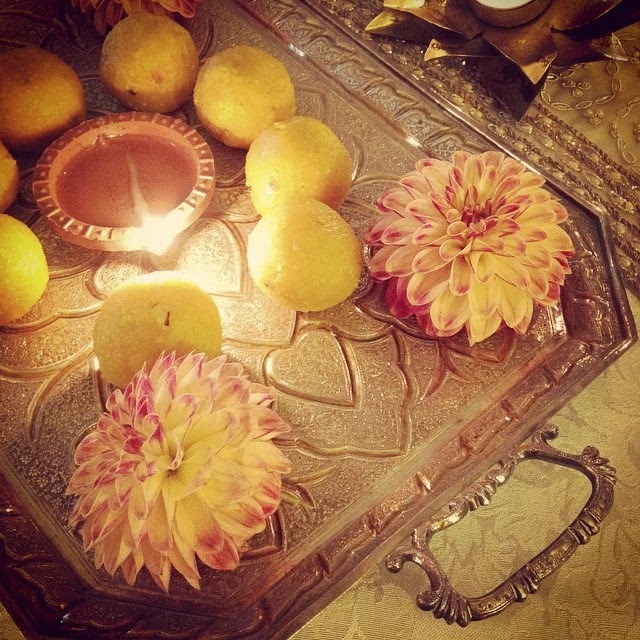 My mom gave it to me when I was leaving India. 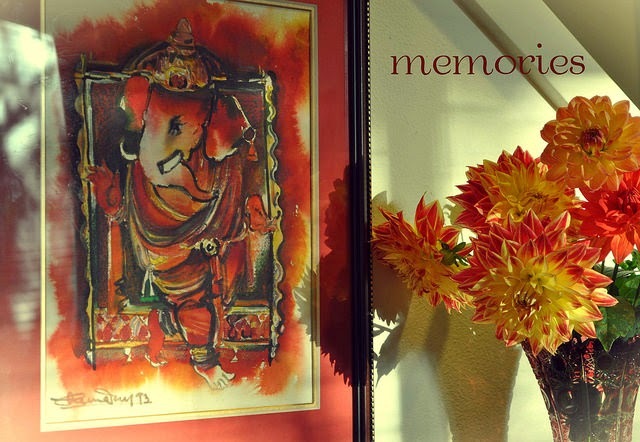 My Ganesha watches over my home and my family! 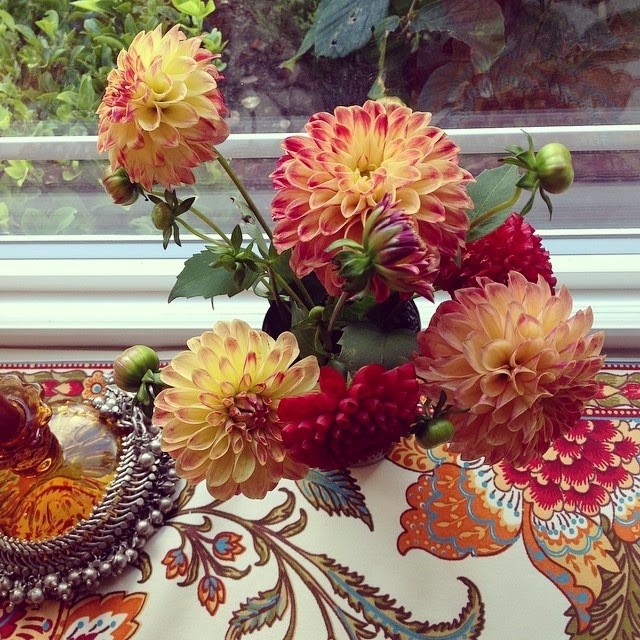 A few Instagram pics taken earlier in the day! 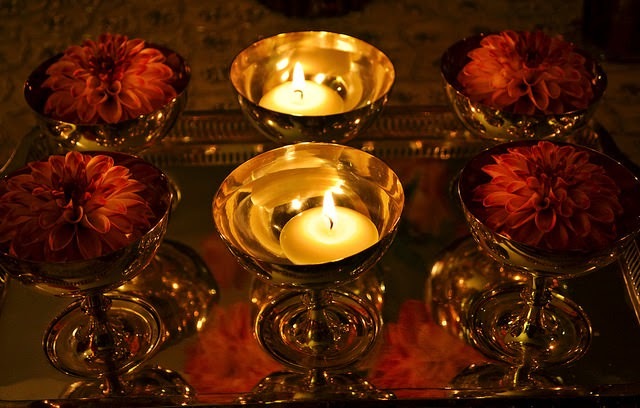 So what's your favorite Diwali tradition or a fond memory? ?